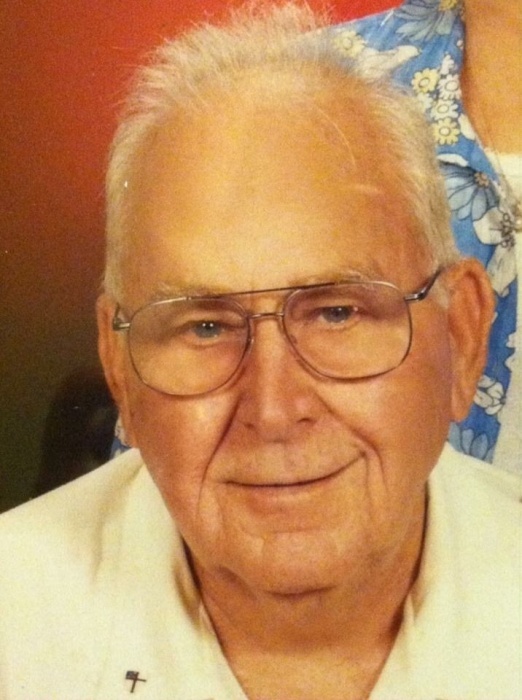 Antone Albonetti, Jr., age 90, passed away Saturday, March 16, 2019 at UTMB Hospital. He was born in Galveston, Texas on February 5, 1929. He graduated from Galveston Ball High School and served in the U.S. Marine Corp during the Korean War. He retired from ISP. He was an active member of Trinity Episcopal Church. He was a loving husband, father, grandfather, great-grandfather, brother and friend. He will be sadly missed by all of those who knew and loved him. He was preceded in death by his parents, Antonio and Amanda Albonetti; sisters, Irene Price(Larry), Nina Ruth Fachinger(George) and Viola Morse(Lloyd). He is survived by his loving wife of 70 years, Elouise McMillian Albonetti; daughters, Martha Albonetti, Debbie Albonetti, Patty Albonetti Sanderson and husband Alton and Melody Albonetti Hamilton and husband Glen; son, Antonio Albonetti, III and wife Catherine; brother, Jack Raymond Albonetti and wife Darlene; 6 grandchildren; 6 great-grandchildren; and numerous nieces, nephews and other family members. Elouise Albonetti and family would like to express their love and gratitude to caregiver Jose Navarro for all of his love, care and devotion. Visitation will be held on Wednesday, March 20, 2019 at J. Levy & Termini Funeral Home from 5:00 P.M. to 7:00 P.M. Funeral services will be held on Thursday, March 21, 2019 at 10:00 A.M. at J. Levy & Termini Funeral Home, with Father John Donovan officiating. Interment will follow at Calvary Catholic Cemetery. Pallbearers will be Alton Sanderson, Benny Cornelius, Jim Neivas, Lloyd Morse, Glenn Hamilton and Justin Wade.